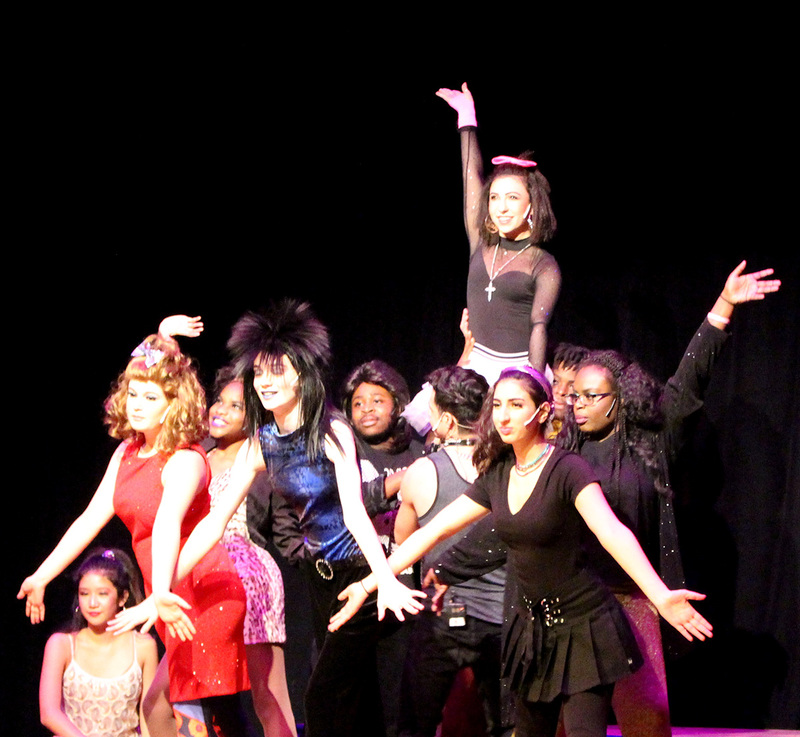 On Friday, March 2nd and Saturday, March 3rd, The Waldorf School of Garden City High School put on their production of The Wedding Singer. 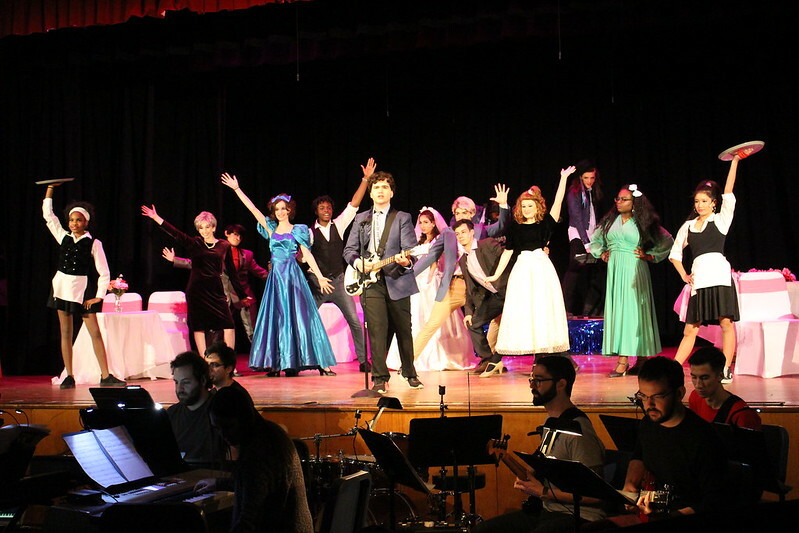 Directed by the School’s Music Teacher, Mr. Andrew Fallu, the show featured a cast of 16 high school students supported by 9 student stage-crew members and a pit band that included the talented senior, Will Clauss on bass guitar. View the full cast and crew list here. Mr. Fallu, expressed his pride and gratitude to the cast, crew and parent volunteers for the extraordinary effort they put into this top-notch performance. Attendance at the show exceeded expectations at all three performances. The Waldorf community, including alumni, students, families and friends came out in force to support the students, the School and to have a great time. They were particularly impressed by the high caliber of talent and the professional quality of the production. Many stated that is was one of the best high school performances they had ever seen! Saturday evening featured a sell-out crowd with an enthusiastic audience. Each showing ended with a standing ovation for the performers and thunderous applause. Thank you to all who came out to support the students and the music department. We would like to congratulate all involved on an amazing show and we eagerly await next year! Enjoy photos from the shows in the gallery below.